Echaintool in Taiwan produces square carbide end mill, aluminum carbide end mill, ball nose carbide end mill, Corner Radius carbide end mill. The hardness of work piece below 55 HrC is available. Different AlTin Coating and helix angle are offered. New design double edges round flute can high speed operation with long life. Mirror grinding for aluminum operation with double edge helix design for sharp and excellent smooth surface. 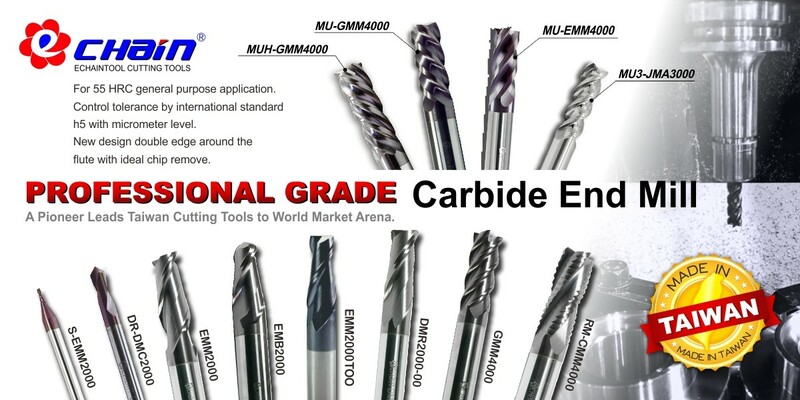 Use high quality carbide rod. 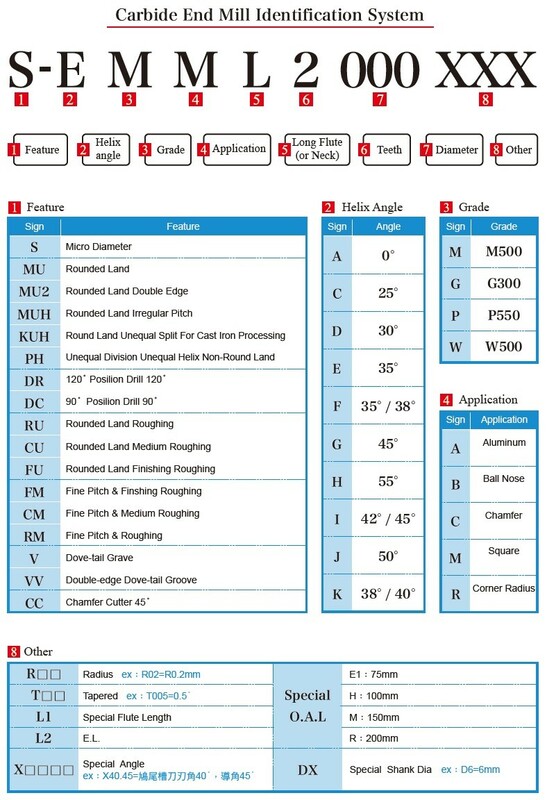 For 55 HRC general purpose application. Control tolerance by international standard h5 with micrometer level. Different series can be chosen. All 5 Axis grinding machines are from Walter in Germany. New design round flute can high speed operation with long life. New EC nano coating perfect match with high hardness carbide rod with ideal chip flow geometry.